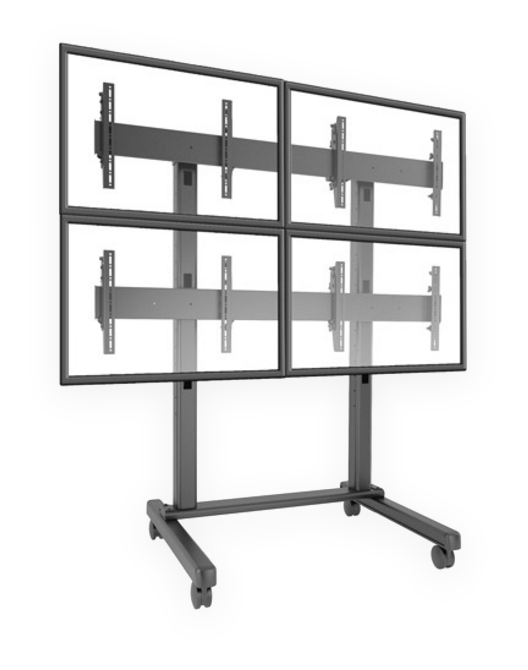 This innovative free-standing solution makes it possible to construct video walls in prominent locations. Comes in landscape or portrait arrangements to fit any application. The Cart allows a completely mobile solution which can be moved into any application. This ensures information/digital signage can be displayed in areas where a wall isn’t available. The displays are bolted down to create a permanent solution, ensuring that it is safe and secure. Furthermore, it has an integrated cable management for a clean installation and is great for infection control.